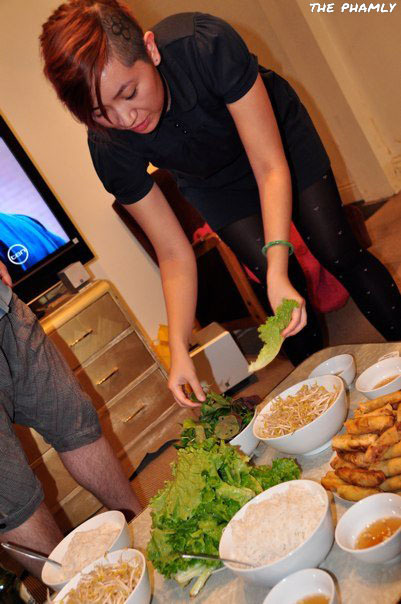 If I make you spring rolls, it means that I really like you because it’s a laborious task to make Mum Pham’s deliciously good looking and tasting spring rolls. There’s the finely chopping of everything in the mix, the delicate layered hand-rolling of every single spring roll, the frying and then washing herbs, lettuce, boiling noodle, pickling carrots, chopping cucumber and making dipping sauce. Clearly, I don’t like you very much because I couldn’t be bothered making spring rolls just so I can take photos for my blog readers. 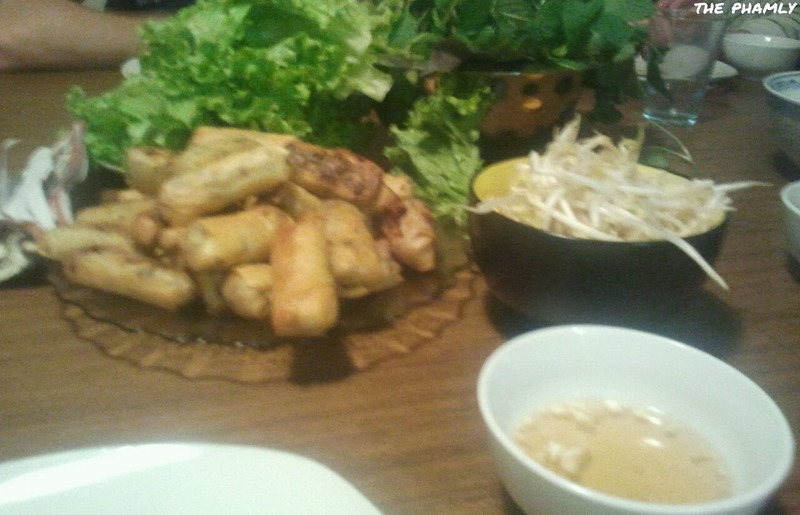 Instead these are some photos of my spring rolls scavenged from my friends’ Facebook photos. 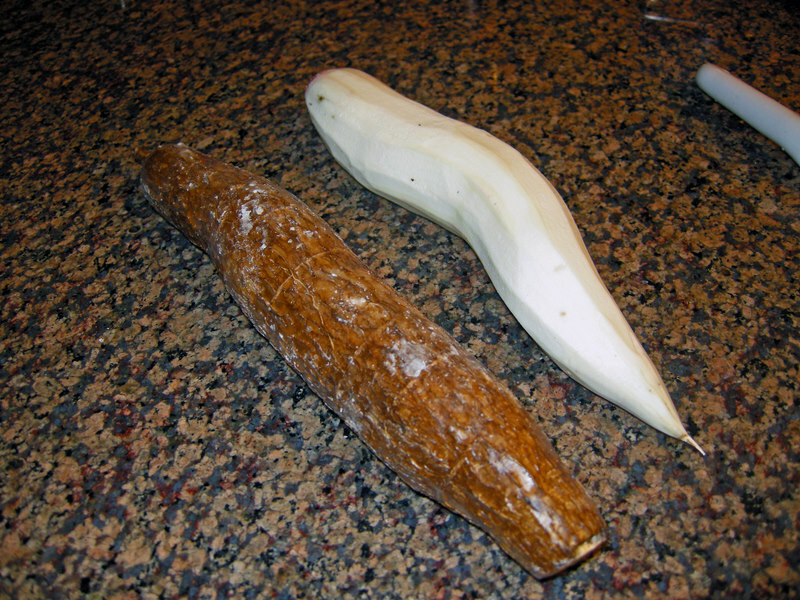 1 x Yuccca root – I use the frozen ones because half the Yucca is usually enough starchiness, but you can use fresh too. It’s messier though. Dig in with your hands and mix it all together! Now roll the spring roll or ‘spinner roll’ as my niece likes to call it. I like to trick my friends into coming over early to be part of the Phamly fun, sitting around rolling together. Really, it’s just manual labour. This video is the closest I could find to my method of rolling - don't forget to use the egg white to seal! The last step is to fry the spring rolls. The oil depth should be just a little less than the depth of a spring roll so that they don’t float about in the oil and you can line them up neatly. Cook until the pastry is golden brown then take out and put on paper towel or baking rack to get rid of some of the oil. Spring rolls can be a picnic or party snack on its own or a dinner feast served with rice vermicelli noodles, bean sprouts, pickled carrots, chopped cucumber, mixed Viet herbs and plenty of Viet lettuce for rolling. Dip in Mum Pham’s delicious fish sauce mix.